This page covers pricing and information on the original iPad Pro models from iPad Pro 12.9” 2015 to iPad Pro 12.9-inch (3rd generation). If you are not sure about your iPad model, you can identify your iPad model in less than a minute using our iPad guide here >>>. Do you have the iPad Pro 12.9”? The iPad Pro 12.9” will have the following model numbers on the back A1584 or A1652. You can follow our guide if you are not sure how to identify your iPad model. 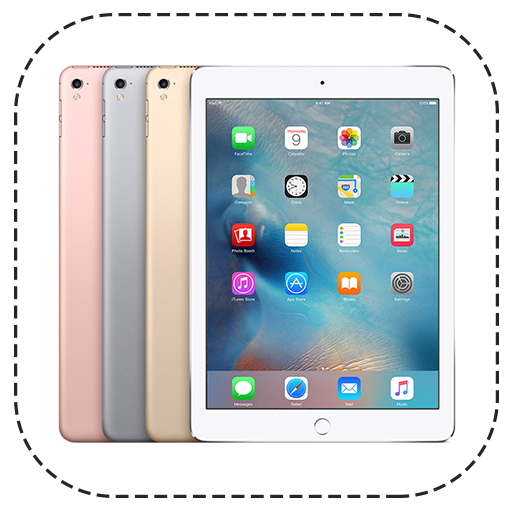 Do you have the iPad Pro 9.7”? The iPad Pro 9.7” will have the following model numbers on the back A1673, A1674 or A1675. You can follow our guide if you are not sure how to identify your iPad model. Do you have the iPad Pro 10.5”? The iPad Pro 10.5” will have the following model numbers on the back A1701, A1709 or A1852. You can follow our guide if you are not sure how to identify your iPad model. Do you have the iPad Pro 12.9”? The iPad Pro 12.9” will have the following model numbers on the back A1670, A1671 or A1821. You can follow our guide if you are not sure how to identify your iPad model. Do you have the iPad Pro 11”? The iPad Pro 11” will have the following model numbers on the back A1980, A2013 or A1934. You can follow our guide if you are not sure how to identify your iPad model. Do you have the iPad Pro 12.9”? The iPad Pro 12.9” (3rd Generation) will have the following model numbers on the back A1876, A2014 or A1895. You can follow our guide if you are not sure how to identify your iPad model.